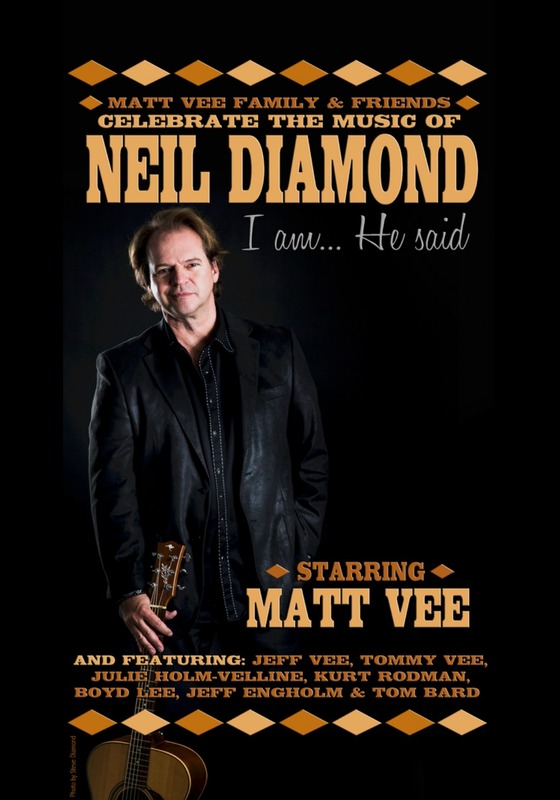 Matt Vee Family & Friends Present I Am, He Said With songs like Cracklin’ Rosie, Song Sung Blue, and Sweet Caroline, Neil Diamond sold over 100 million records worldwide, and produced musical hits spanning five decades. As a Tin Pan Alley song writer in the, he penned songs recorded by everyone from Elvis Presley to Deep Purple and, of course, the Monkee’s classic, I’m A Believer. Join Matt, Jeff, and Tommy Vee (nephew and sons of the legendary Bobby Vee), for a celebration of this amazing music icon. Purchase your 2018-19 Center Series Subscription here.